Remember this? Five giant snowflakes suspended above the Fisht Olympic Stadium were supposed to open up into the five Olympic rings. Only four did, and scheduled pyrotechnics never materialized. If not for the internet, Russian viewers would be none the wiser. How very Sochi of things not to work properly. Good thing nothing like this happened in Vancouver. 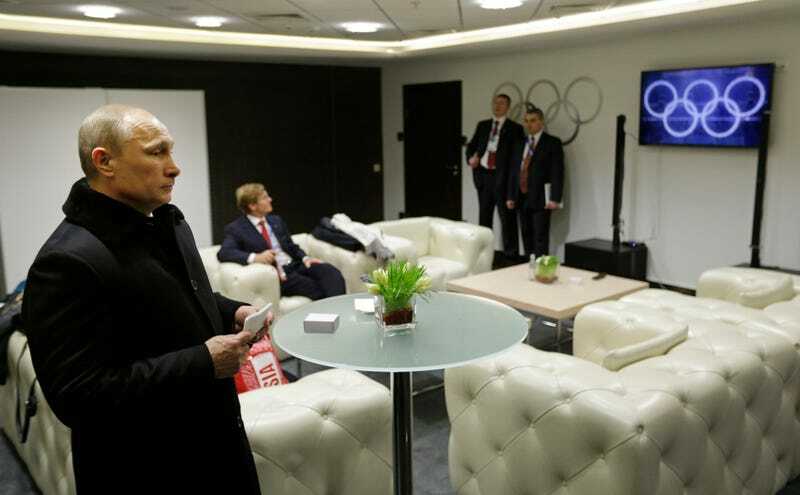 State broadcaster Russia-1, carrying these games, quickly cut to footage taken during a rehearsal, and viewers at home saw the spectacle go off as planned. This use of prerecorded footage to cover up mistakes—the show's artistic director said a stage manager was to blame—has been used in past Olympic ceremonies, most notably a fireworks display in Beijing. "This is an open secret," Konstantin Ernst, executive creative director of the opening ceremony, told reporters. "This is certainly bad, but it does not humiliate us." Both Russian and IOC officials praised the switch to prerecorded footage, citing the importance of preserving Olympic symbols—and the unveiling of the rings is one of the key moments of the ceremony. "It didn't show on television, thank God," Jean Claude-Killy, head of the IOC's coordination commission, told the Associated Press.